ISLAMABAD: Former prime minister Nawaz Sharif Thursday excused from presenting his defense in Flagship Investment corruption reference while concluding his testimony before the trial court. Previously, the accused also did not present his defense in other two references including Avenfeild property and Al-Azizia case. 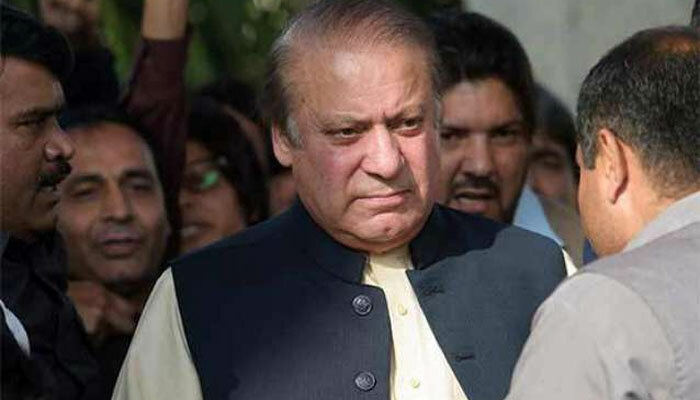 During today''s hearing before Accountability Court-II Judge Arshad Malik hearing corruption reference against Sharif family, the former prime minister appeared before the court to record his statement. Recording his statement, Nawaz said he had no need to present his defense as the prosecution couldn’t prove its allegation against him. He raised four questions for the prosecution and said it should tell who was controlling the business abroad; did he produce money for his sons’ business; what was the motive behind ‘benamidari’. The references made against him were based on dishonesty, he said, adding that about eight million Pakistanis were doing business abroad, should they all face the same trial. The accused said there was no appropriate environment for business in Pakistan thus his father established industry abroad, adding that time he was not in politics. He disconnected himself with family business after he came into politics, he added. During hearing, the deposed prime minister also presented some details of his family assets. He said the prosecution had admitted that no evidence available for money laundering for business but still references were initiated against his family. Nawaz said he was thankful to the nation who had elected him three times as prime minister. The accused also submitte a request with the trial court to present record regarding sale of companies in United Kingdom (UK). He said that he had filed an application with UK authority to get historical copies of the documents. After the accused concluded his testimony, the court allowed him to leave.